Due to forecasts of inclement weather, the Sunday, July 28, 2013 first-ever annual “Studebakers, Stangs & Stingrays Classic Car Show and Swap Meet” Fundraiser has been rescheduled for August 4th. Hauppauge, NY – July 28th, 2013 – Due to forecasts of inclement weather, the Sunday, July 28, 2013 first-ever annual “Studebakers, Stangs & Stingrays" Classic Car Show and Swap Meet” Fundraiser benefiting The Rose Brucia Educational Foundation that was to be hosted by Novak Motors at its headquarters has been postponed until Sunday, August 4, 2013. The rescheduled event event will still be take place at Novak Motors' headquarters, 1818 Pacific Street in Hauppauge, from 9:00 a.m. to 4:00 p.m. and all proceeds will benefit The Rose Brucia Educational Foundation's work to reduce the number of child abductions in the United States by empowering young minds through awareness and education. Sponsored by Novak Motors, The Fabulous 50s and 60s Nostalgia Car Club of Long Island, and Fusion Auto Finance, this show will feature classic cars, a swap meet, food, 50/50 raffle, music by Stylin Sounds DJ, vendors and much more. Trophies will be awarded for “Best in Class” and “Best in Show” (1985 cars and older). “It’s an honor for Novak Motors to host the first annual classic car show fundraiser to support the development of The Rose Brucia Educational Foundation’s Stranger Safety Awareness Program,” said Joe Coreno, Director of Operations at Novak Motors. “We invite the community to come out to this event for a day of fun for the whole family and to show their support of this very worthwhile program,” he added. The Rose Brucia Educational Foundation’s Stranger Safety Awareness Program is a free educational curriculum designed to provide vital, proactive stranger safety awareness techniques to elementary-aged children. Utilizing puppets and simple self-defense techniques, the Foundation visits elementary schools on a regular basis and performs the Stranger Safety Awareness Program, free of charge. The organization will conduct live presentations during the Car Show for families to participate and observe. Admission is $5.00 per person, $15.00 per family, and $15.00 per car entry. All admission fees will be donated to The Rose Brucia Educational Foundation. Additionally, Novak Motors will make a donation to the organization for each car that they sell. For more information on corporate sponsorships, registration or becoming a vendor, contact Laura Hingle or Joe Coreno at (631) 787-7437. Founded by Matthew J. Barbis after his 11-year-old cousin, Carlie Brucia, was abducted and murdered in Sarasota, FL in 2004, The Rose Brucia Educational Foundation is a 501(c)3 nonprofit organization that works to reduce the number of child abductions in the United States through education and empowering young minds with the knowledge necessary to avoid abduction. Utilizing puppets and a formalized educational curriculum, the Foundation provides elementary-aged children with the Stranger Safety Awareness Program, free of charge. For more information about The Rose Brucia Educational Foundation, visit www.rosebrucia.org. Novak Motors is a new concept in pre-owned car buying. It begins with people seeking desirable, pre-owned, low mileage automobiles and ends with Novak’s TruSetsm reasonable and below market pricing, etched in stone. The Novak experience is clear and straightforward, which makes for a very relaxed and comfortable pre-owned car buying experience. Novak Motors is located at 1818 Pacific Street, Suite 3, Hauppauge, NY 11788. For more information, call 877-483-5557 or visit www.novakmotors.com. 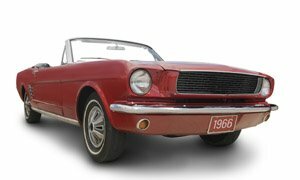 Subject: LongIsland.com - Your Name sent you Article details of ""Studebakers, Stangs & Stingrays Classic Car" Fundraiser at Novak Motors Rescheduled for Sunday, August 4th"